Faith has red eyes and black hair. Her hair brought her to getting the name "The Raven." She stands at 5 foot 6 inches and is on the slimmer side. She tends to wear a red cloak over top most of the time. 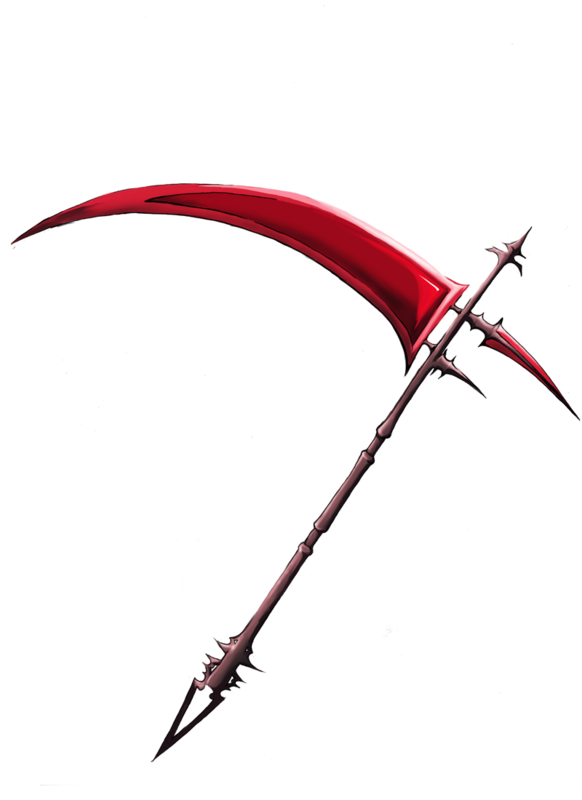 Faith's usual equipment consists of a bow,and a scythe. Faith is, for the most part, a very shy person. She tends to not talk to people and be a loner. When talking to people, however, she will talk to them but, will say very few words. But, if she is friend with the person she has her usual personality of being happy. Faith was born into a family of three. It consisted of her mother and two brothers. They were a close family. First brother was four years older and her other only one. They were all vampires. They stayed hid away from society attempting to escape the hatred of many people toward vampires. Her mother attempted to protect all three of the children from the real world and finding out what everyone really thought about vampires. "You. How old are you?" In response Faith said, "I am ten years old. Who are you?" Looking up at her the man said, "My name is Alex Shred. I am a traveler and was looking for a place to stay." "So you came back now?" "I know I have been gone for to long but I am back and I am staying." He responded. The mother just turned and walked off into another part of the house. Months later Alex asked Faith if she wanted to learn what he did. By this time Faith had grown very fond of him and wanted to do what ever he did. Agreeing Alex showed her how to use a bow. After some practice she began to get good with a bow. Alex then started to show her how to fight with daggers, stick and her bare hands. After a few years Alex gave her a scythe. He started to train her to fight with a scythe. She seemed to be better with the scythe then anything else and always trained with it. It was then that Alex gave her the nickname, "The Raven." A year later Faith's mother and two brothers were killed. Alex had disappeared. She didn't know what to do. She was alone. She began to hide in the forest and stay there. Until, one day Alex came back and helped her back on her feet. It was then that Alex revealed that he was her father. Faith didn't care she was just glad she had someone to be by her side. On her sixteenth birthday she received her own bow and a red cloak. Now she is usually seen on her own in the forest.